Making your car last longer doesn't need to be a tricky job. Yet with the right level of care and attention you can ensure it keeps moving for many miles more. It is important to check different parts of your car every so often and get it serviced regularly so that you can lengthen its lifespan. What's more, this will reduce your chances of breaking down at the road side and needing to call out a breakdown recovery firm. Among the aspects you need to check to keep your car in good condition are the brakes, exhaust and fluids. Do not be afraid to go to an expert technician for help either in case they spot something you missed. Working brakes are not just important for making your car live longer, they are also vital for your safety overall. Therefore, make sure you look and listen for any indication that your brakes may be faulty. If your car judders as you come to a stop and you hear a squeaking sound then this suggests your brake pads are wearing out. What's worse is if you hear grinding metal then that means your brake pads have completely worn out and your metal calipers and rotors are grinding together. You need to replace your brake pads when they wear out to stop damage to your car from metal parts rubbing together and to ensure your car can stop quickly whenever you need to. However, your driving style will also make a difference to how long your brakes last. Making sure you stop gradually and moving down your gears as you slow down will help your brakes last longer. As the one part that comes into contact with the road, your tyres are a vital part for ensuring your safety. So too is making sure your wheels are properly aligned. 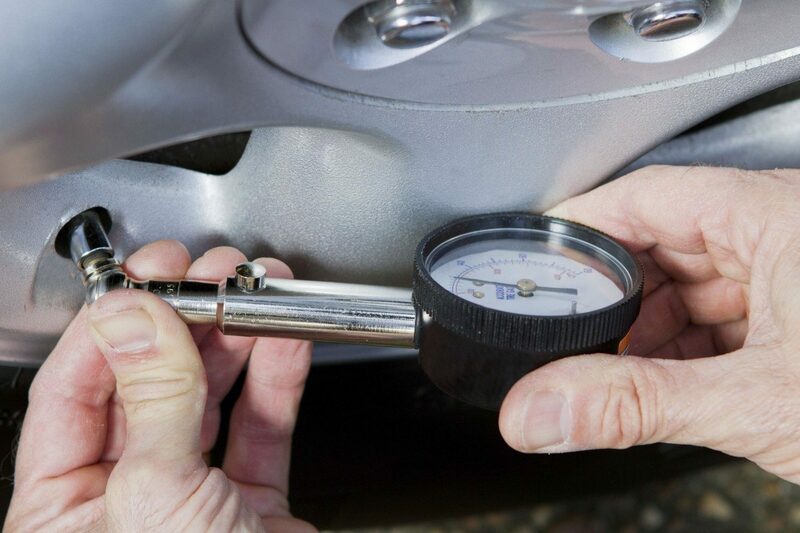 Make sure your tyres are properly inflated as this will help to reduce wear and tear, improve fuel economy and reduce the strain placed on the vehicle. Also check your tyres for punctures, bulges, tears and make sure the tread is deep enough as this can all take its toll on your vehicle, or even potentially cause a blowout when you are driving at high speed. If your wheels are not properly aligned then this too will take its toll on your tyres and your vehicle. You will notice if this is the case as your car will pull to one side when your steering wheel is straight. To avoid these issues, try not to drive too aggressively as this places a lot of strain on your tyres. Make sure you slow down for bumps in the road too as this can knock out your wheel alignment. Keeping your fluids topped up, such as coolant and oil, is important for keeping your car in good condition and making it last longer. Your oil is vital for keeping your cylinders and pistons properly lubricated, without this then the metal will rub together and cause your engine to seize. For this reason, top up your oil at least every 3,000 miles. Similarly, engine coolant is vital as it stops your engine from overheating. Therefore, make sure you check your coolant level frequently too and make sure you top it up. Your exhaust keeps your emissions down, which is important for keeping your car legal to use on the road, and also for the health and safety of you and your passengers. If your exhaust does not work then this can allow toxic fumes into your cabin and surrounding environment. Keep an ear out for things that might be going wrong. Should you hear vibrating metal then this means something is touching your exhaust that shouldn't be, while hissing sounds suggest your gasket is leaking. Of course, the best way to make your car last longer is to have an expert check it over regularly and conduct repairs. Book your car in for a service once a year to ensure you have all the important aspects of your car looked over, including tyres, lights, brake fluid and so on and to have any minor problems fixed before they can cause any lasting damage to your car. Keeping your vehicle regularly serviced and well maintained helps reduce the likelihood of any issues with your vehicle. But, even with regular servicing, there may come a time when you will suffer a vehicle breakdown at home or on the roadside. Why not get a fast online quote now for breakdown cover with startrescue.co.uk, and let us get you started again.